I'm the owner of 3coast Services ( www.3coast-services.com). We are an IT services firm in Houston, Texas. We're a small business with 15 employees. Three of our employees' homes were flooded by Harvey. One employee lost everything. Another had a foot of water. All three are in need of assistance. 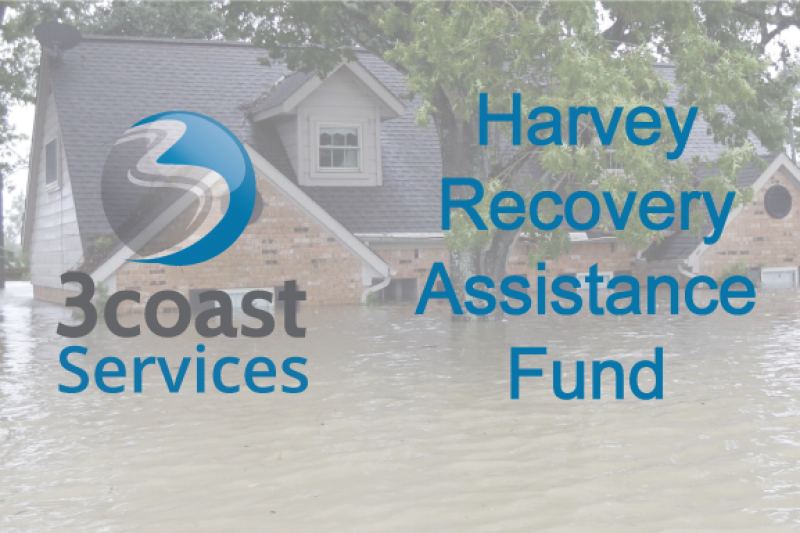 There is much suffering in the greater Houston area, and this is one way to help. Our goal is to attract donations from friends, family, and friends of friends outside of Houston and around the globe, who might not donate otherwise. 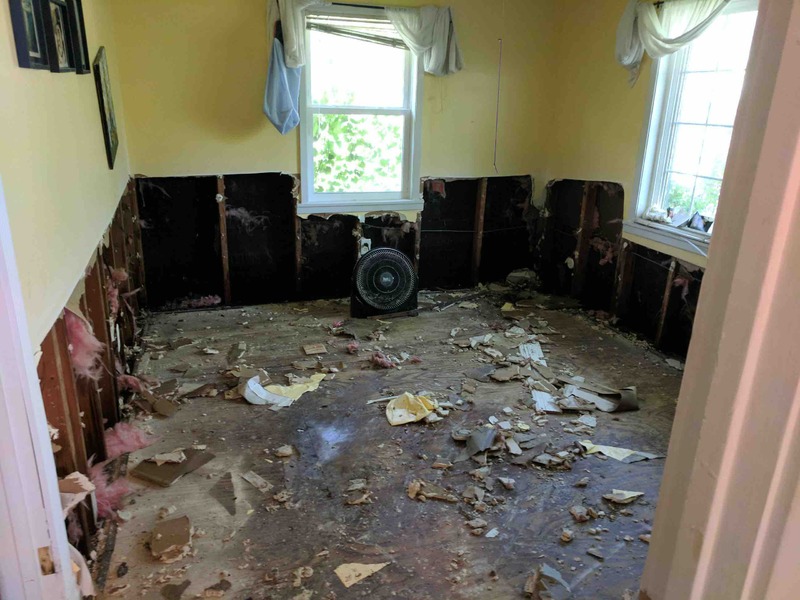 We are seeding this fund with $5000 to help cover replacement clothes, cleaning supplies, staples, flood insurance deductibles, FEMA loan payments, and other personal items. Funds will be directed to the affected employees. We will also provide gift cards (Lowes, Home Depot, Wal-Mart) to the affected employees of our clients. One facet of our company Purpose is to help our community, and this is an opportunity to put words into action. We're pulling together as a team to help each other out, including the tough manual labor. The flood damage is heartbreaking but the response of our teammates and the community is inspirational. Assistance from the red cross and other charitable organizations is wonderful. If you don't feel comfortable contributing to this fund, I hope you'll donate to the Red Cross - https://www.redcross.org/donate/hurricane-harvey. I'm Stephen Sweeney, and we live in Friendswood, Texas, one of the hardest hit areas. I went to Clear Lake High School in Houston, and Brother Martin High School in New Orleans. I have undergraduate and graduate degrees from the University of Virginia. We were fortunate and were not flooded. Please find a way to help, wherever you are located. We crossed the $10,000 mark. Thank you! Every client I speak with has at least one employee who was affected. We will use some of these funds to purchase gift cards (Lowe's, Home Depot, etc.) to help with short-term needs. Every dollar we receive will be distributed. $7500 already has been awarded to flooded employees. The media focus shifted to Hurricane Irma, and that's a very important story, but Hurricane Harvey still has many in Houston suffering. Please help how you can. Your contributions go toward cash and gift cards at stores like Lowes, Home Depot, Kroger ... to help families who are rebuilding. The generosity of Houstonians is inspiring. We’ve seen so much giving of time and hard work ... and this is HARD work. Days of work to remove furniture, strip all flooring, rip and remove sheet rock from one employee's house ... starting reconstructing still seems far away. They are estimating that over 100,000 homes have been flooded. The media will shift away from Houston but our suffering will continue for many months. Please help how you can. We are putting the cash into the pockets of people who are going through this. A Darden friend inquired about how he could help. This is an excerpt of my reply. "Personally, we're fine. We made it through the storm dry, though I have more gray hairs than last week. It looks like my parents will be dry as well, which is a very pleasant surprise. They looked doomed to flood when they were evacuated from their neighborhood by boat. They live near the reservoir that is overflowing. I have a few employees who are in bad shape. We created a gofundme and seeded it with $5k. If you wanted to contribute to that, we'll get the money to them so that they can get their lives rebuilt. One (a US Army vet) is homeless now, and lost his car and every piece of clothing and furniture he had. He's staying with one my other guys until he can get situated. No insurance on anything except the car, and I expect a good used car will be hard to find. We have another (USMC vet) who lost everything w/ no flood insurance. They'll probably have to rebuild from the studs. There's much suffering in Houston right now. The shelters are great, and many people need them. At the same time, there are many middle-class working folk who don't need well-stocked shelters, they need cash to get things going again. I want to help them get started without them having to deplete their savings completely. We handed out a $1k check today and it was extremely emotional for all of us. Tearful appreciation."